The hysterics over the Kerch incident have simmered down a bit, and we now have enough material and main actor statements to take a closer look at what happened. 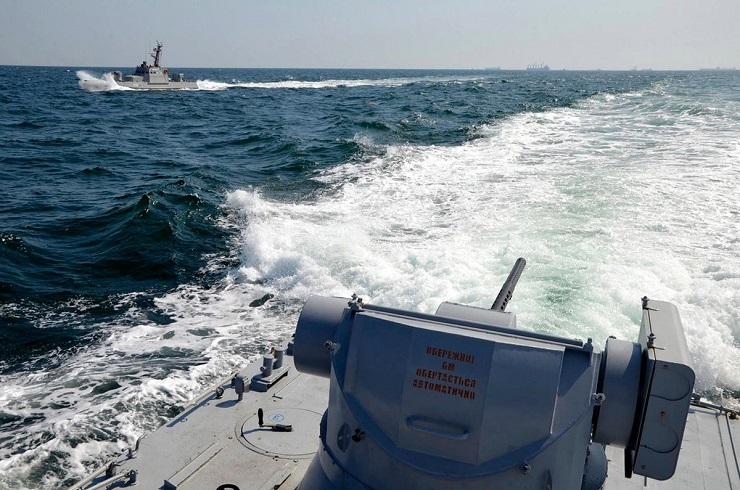 I won’t review the details of Kiev’s semi-Kamikaze attack attempt through the Kerch Straits, as that has been well covered, the claims anyway. What we can clearly see now is that if Poroshenko had just wanted an incident, he could have instructed the ships’ crews to stop when ordered by the Russian border forces, and made his public case on that. But he knew that would not be a newsworthy event. He needed more. He needed to have the boats fired upon for refusing to stop, and that is what happened In the earlier excursion in September when the two Ukrainian boats gave notice of their intent and the trip went smoothly, so it was not a news event. So what changed this time? Well first, we did not really find out from Western media, heaven forbid. Sure, we were told that the Ukrainian national elections were in March, and Poroshenko was behind and needed to revive his campaign somehow, but that was all. Ukraine has been off the front page for many months. I only learned how far he was behind in the polls when Putin gave up the ghost with his comment at the economic conference that Porky was in “single digits”. That means he knew he was guaranteed to lose, and his only chance to turn that around was to create a big incident to frame himself as the defender of the country. He had nowhere else to turn other than to whip up a new Russophobia campaign through a military incident, which is why he rigged this ship incursion. But there are extra layers to what happened. Poroshenko has more to worry about than not keeping his job. As the leader of a government that has overseen the country being robbed blind, he could expect that the winner would launch a reform campaign by freezing all of Poroshenko’s assets in Ukraine and begin an investigation and prosecution of all his administration’s graft to destroy it politically and economically. So he had nothing to lose with his “Hail Mary” pass at having an old tug and two gunboats attempt crashing through the Kerch Straits with sacrificial crews. Frankly, I think he wanted some dead sailors as martyrs; and the Russian patrol boats wisely did not deliver that. Few think that Poroshenko would have attempted this on his own. His domestic opposition told us his support ranged from 5% to 8%, a figure we can rely on, as it confirms Putin’s more polite “single digits” and his remark about the president polling behind four other candidates. Porky needed to prostrate himself before the West one more time to make sure he will have a new home in a country that will refuse to extradite him for looting his own country. Evidence of this coordination became evident the first day, when Western condemnations poured in almost against Russia, before there had even been time for Intelligence agencies to receive any accurate report on the event. Their quick condemnations reeked of advance notice and coordination. All the Russia hater platforms were quick to get the hysteria ball going, calling for new sanctions on Moscow the day after the incident. John Bolton led the way on punishing “bad behavior” by Russia. This is a man who had no problem with innocent protestors and police being shot down in Maidan Square by coup mercenaries so their deaths could be blamed on the besieged government. Secretary of Defense James Mattis’ comments were embarrassing with his claim that Russia’s actions were “a flagrant violation of international law” and “a cavalier use of force”. Veterans Today has seen no solid report to support excessive use of force. It is not General Mattis’ job to hype a minor, poorly planned and executed provocation; and he has reflected poorly on the military by doing so. Mattis’ Pentagon has had no problem with the IDF slaughter of unarmed civilians and children in Gaza. The Atlantic Council, the Deep State cheerleader for perpetual war, was also off the rails with its obviously prepared “How to put Putin in his place” article. It called for a “standing NATO Maritime Group in the Black Sea”, even picking out its base at Constanta, Romania, which is already the de facto NATO base, due to the US presence. As I write, NATO has passed on the Council’s advice by stating that NATO vessels are routinely cycling in and out of the Black Sea, and it plans no extra deployments. It called on both sides to deescalate, a big blow for Poroshenko, which spotlights a divide between the Pentagon and NATO on what was clearly a staged event. The Ukrainian Admiral Igor Voronchenko seems to have wanted some press coverage himself, so he confessed to the scam saying, “We had to show… our face in the Kerch Strait and the Sea of Azov, and demonstrate what these gunboats are capable of.” He then turned around and asked for the international community to recognize Russia’s aggression. It is because of leadership this stupid and twisted that Ukraine is in the horrible shape that it is in. Regarding the instant call for more sanctions, Angela Merkel did not bite. She said, “We don’t impose sanctions on Russia for sanctions’ sake,” going on to say that countries bordering Russia had a right to their own development. This was an astounding comment, as she is completely aware that Ukraine has been economically devastated as the result of the Western-backed coup. As for the right to one’s own development, Crimea is a paradise now compared to Ukraine, a fact never mentioned in Western capitals or media. Most of all, the President ought to make the point that it is in no one’s interest to stumble backward into a full-blown Cold War, let alone have an actual war inside Ukraine. Perhaps by appealing to Putin’s pragmatic side, we can defuse this crisis before it spirals into something we cannot control’. I would disagree with the Admiral, in that we have been in a full-blown Cold War for some time. He can call Veterans Today for a briefing if he would like and if he has a free afternoon on his hands. At his security level, he is well aware of the use of proxy terrorism for regime overthrow, and the continued hiding of this from the public is an attack on democracy itself. As a result of this obviously political move to bolster Poroshenko’s presidential polls, Russia already has its S-400s in northern Crimea and more anti-ship missiles along its coasts. Donald Tusk just said that the EU will probably renew the Russian sanctions in December due to this incident, but the EU was going to do that anyway. It was another way of saying, “No new sanctions”. Ukraine’s call for Turkey to close the Bosporus Straights to Russian ships was met with astonishment. Why would Turkey do such a thing as a key ally of Russia? Ukraine desperately needs all the help it can get to rid itself of the rot at its top. When Poroshenko leaves, a lot of his people will have already left the country to wherever they have transferred their looted cash. Will a new gang step into their shoes? Maybe, but that responsibility will be that of the Ukrainian people, and not outside Western manipulators.